The Alpine butchers stuff 10,000 pounds of authentic German sausages each week. Our sausages tend to be more finely ground, balanced and mild in flavor than sausages produced by the big factory processors. We have over 30 varieties of artisan, European and German sausages. 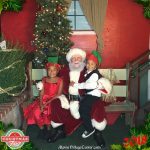 Below are just some of the selection you’ll find in our store. If you are looking for authentic and award-winning European and German sausages in Southern California then there is only one place to come: The Alpine Market. 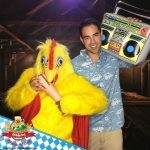 If you show up early enough you might catch Wurstmeister Alex Lagger in time to say hello. He is a true craftsman! 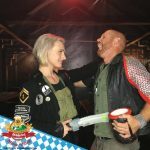 The king of German sausages! 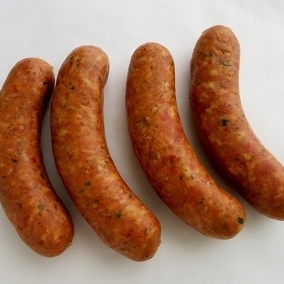 We lightly flavor this pork sausage with cardamom, garlic and seasonings. Try poaching it in beer before grilling, or pan-frying with a light sprinkle of brown sugar to give it color. 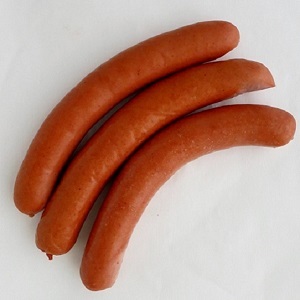 Vienna sausages are finely ground sausages of pork that are lightly spiced. Alpine Village makes them in the traditional recipe and also in all-beef and all-chicken versions. 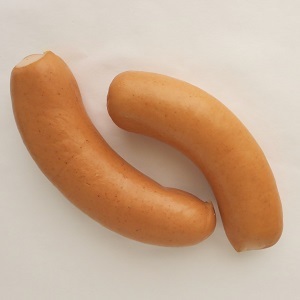 Our best-selling German sausage! 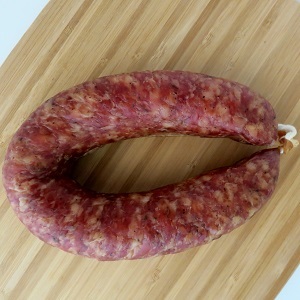 A pork sausage with a heavy garlic flavor. Thin and long sausages made of pork, these bratwursts are lightly spiced with salt, pepper, cardamom, ginger and lemon powder. The recipe dates back to 1313! 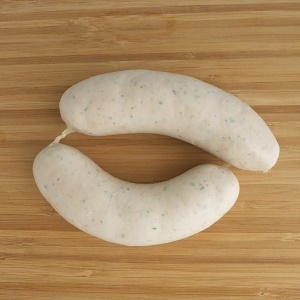 First created in Munich, weisswurst is a pork sausage that is lightly spiced with onion, ginger, salt and pepper. 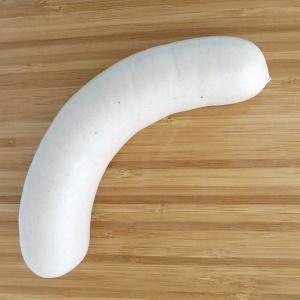 This German sausage is made to be boiled, peeled out of its casing and enjoyed. 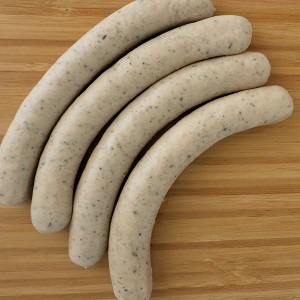 Traditionally eaten boiled and before noon, the Bavarian Weisswurst German sausage features finely ground meat, no preservatives, light spices and sprinkles of parsley throughout. 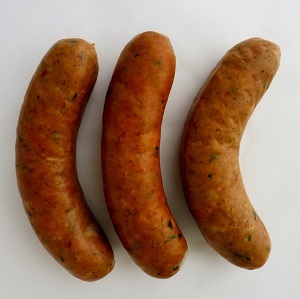 We infuse Indian curry spice into our recipe for a sausage with a bit more heat and character than you’ll typically find in a traditional German sausage. Pork and sausage stuffed into natural casings and smoked for even more flavor. 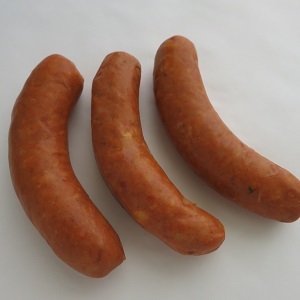 Knackwurst is native to Holstein, Germany and makes a great sandwich when sliced. 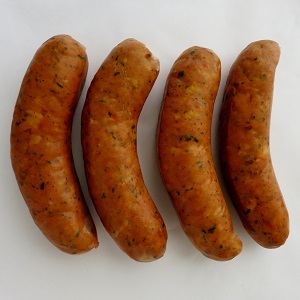 Salt, garlic and marjoram flavor this pork and beef sausage. The Polish sausages from Alpine Market are a bit on the spicy side which is conducive to beer drinking! Semi-dry pork, liberally spiced with garlic and paprika. Alpine Market debreceni can be kept without refrigeration and are delicious when sliced on crackers or pan-fried to release the fat flavor. 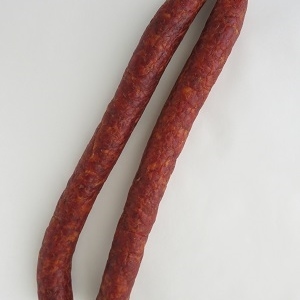 The Hungarian sausage is characterized by the rich color and flavor of paprika. 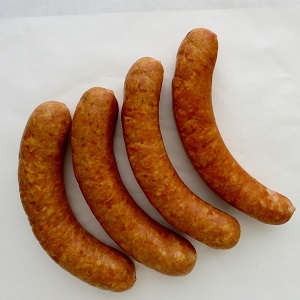 These pork sausages are fantastic on a bun or simply on a plate with sauerkraut. 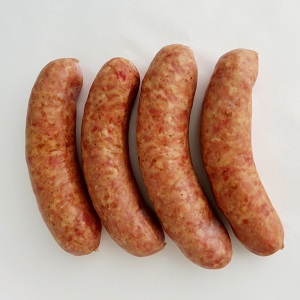 A semi-dry sausage of pork, beef and black pepper that is smoked to its full, rich flavor. 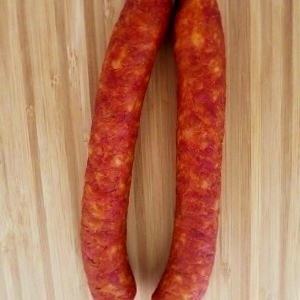 This sausage was meant to be taken on hikes and adventures: it does not need refrigeration! 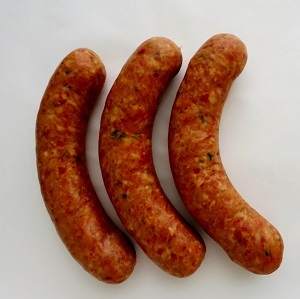 These Louisiana-style hot links are made with pork and red pepper that yield a fiery flavor. A sausage made to be finished off with a pilsner or hoppy pale ale! 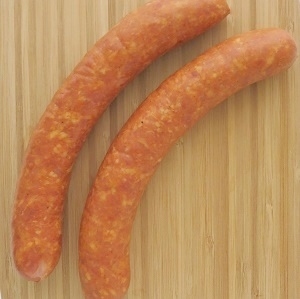 A chicken sausage flavored with habanero peppers to give it a nicely balanced medium heat. 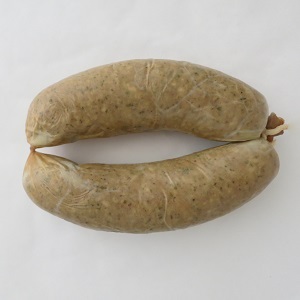 Ground chicken mixed with pepper, nutmeg, caraway and a variety of herbs in a natural casing. A very mild-flavored sausage. Green chile and cumin brace this chicken sausage with heat and acidic flavors. 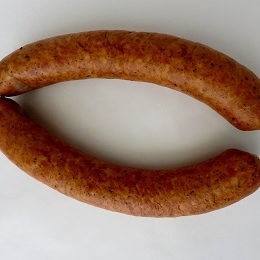 We first stuffed this sausage in 2013 and have been selling a ton of it (literally!) since. Jalapenos and cheddar cheese are sprinkled into this pork sausage to give it medium heat and savory flavor. Delicious! 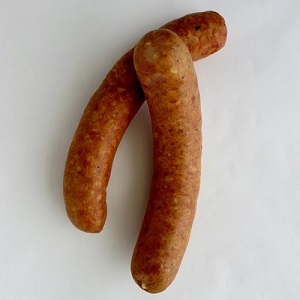 A Hungarian dry pork sausage that doesn’t require refrigeration. Slice it thin and make a sandwich out of it or eat it with cheese. Made with pork and liver meant to be spread on rye bread with mustard. Pork and garlic is finely ground and formed into a long, curled link. This sausage begs to be pan-fried and served with your favorite toppings. 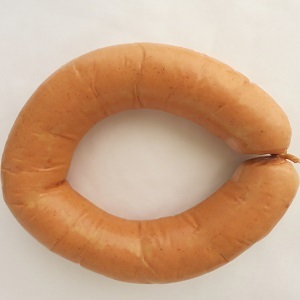 A dry ring of pork German sausage flavored with garlic, carroway and other spices. 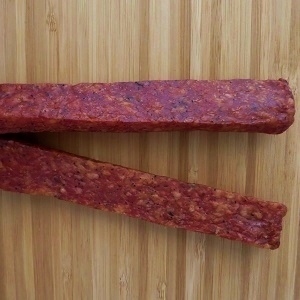 Slice it thin as you would salami, though it doesn’t require refrigeration.